The Spaniards were the first to brew beers in Mexico using barley and wheat, although production was limited in the early days, in part due to the lack of available grains. The first official concession to brew European-style beers was issued by the Spanish authorities in the middle of the 16th century; however, despite the brewers’ attempts to expand the business by growing more crops locally to increase the supply of barley at a lower price, heavy regulation and high taxation imposed by Spain on locally-produced beers and wines stymied the industry’s growth. After Mexico’s war of independence, beer production began to flourish in Mexico, and during the latter part of the 19th century an influx of German immigrants brought additional knowledge and expertise to the field which caused the local market to diversify and improve its products. By the turn of the 20th century, beer had become big business in Mexico, helped also by prohibition in the United States at that time, which gave rise to a brisk and profitable trade of beer and other alcoholic beverages along Mexico’s border towns and cities. By the end of the Mexican Revolution, there were more than thirty-five breweries operating in Mexico, and a period of consolidation that began in the 1920s brought about the beer market we see here today: smaller breweries were absorbed into one of the “big-two” breweries, Grupo Modelo and Cerveceria Cuautehmoc-Moctezuma, which emerged as the dominant players of the Mexican beer market. Successful beers produced by the acquired regional breweries were mass-produced and distributed nationally, and less successful beers disappeared from the market altogether. Smaller breweries that were not bought-out were forced to close as they could not compete with the economies-of-scale brought about through consolidation. The two big Mexican breweries, which by the turn of the 21st century controlled over 90% of the Mexican beer market, were subsequently acquired by international conglomerates. 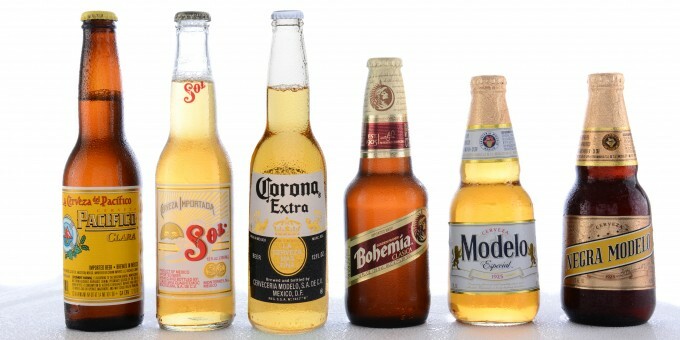 Cerveceria Cuautehmoc-Moctezuma, whose brands include Sol, Bohemia, Tecate, and Carta Blanca, was sold to Heineken in 2010; Grupo Modelo, which sells Corona, Modelo, and Pacifico brands among others, was acquired by Anheuser-Busch in 2013. 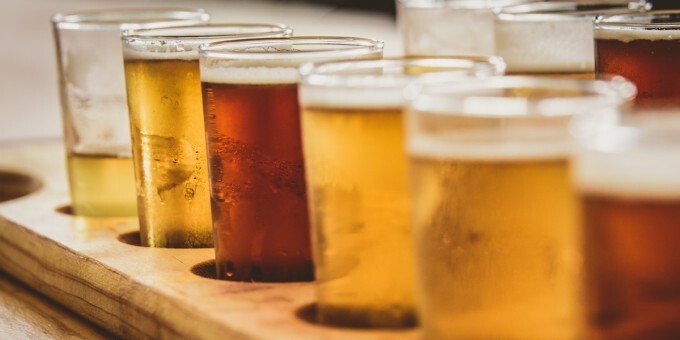 The colossal marketing budgets and the extensive distribution networks controlled by these two breweries ensure that their big-brand names are placed at the forefront of buyers’ choices across the country. 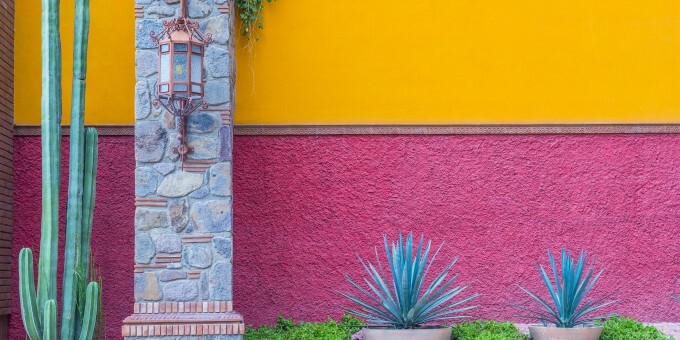 However, changing consumer habits are fueling a boom in artisanal beer across Mexico, and independent brewers have been making a noticeable comeback in recent times with small-batch craft beer and ale labels appearing regionally in local stores, restaurants, and bars. The majority of beers sold in Mexico today are lagers, pilsners, Vienna-style light and dark beers, as well as Munich dark beers. Beer in Mexico is served cold, or taken as a Michelada: beer with lime juice, or lime juice mixed with a variety of spicy sauces like Worcester, tabasco, or soy sauce. The beverage is still regularly supplied using returnable bottles, although recyclable cans and bottles are becoming increasingly common. If you are visiting Mexico and purchase beer from a local store, choose the cans or recyclable bottles with the words “No Retornable” printed on the label, which don’t require a deposit and can be recycled after use. When you’re living in Mexico, it’s worth building up a small stock of returnable bottles which you can take back to the store when you want refills. Building up a rapport with your local store keeper might earn you the privilege of being able to take beer bottles without paying a deposit, as the store keeper trusts that you will return the bottles and, presumably, buy more beer there. Most Mexican beer bottle sizes are 325ml, although some brands of beer are also available in larger 925ml, 940ml and full 1-liter sizes. In Mexican slang Spanish, the larger bottles are called caguamas (sea turtles) or if you’re in north-eastern Mexico you might hear them referred to as ballenas (whales); in Mazatlan, ballenas refer specifically to the Pacifico brand of beer sold in the larger-sized bottles. I have been a big Negra Model and Bohemia fan for years but I used to have to special order them which was a pain in the “pint”. Now I get my Negra Modelo almost anywhere. I’m waiting patiently for Leon to become available nearby. It’s worth the wait! Mexican “cerveza” is more than just beer, it is an embedded cultural icon of Mexico’s history, or in the case of the local “Patito” a “cerveza artesanal” (artisan beer) of the Yucatan Peninsula near the capital city of Mérida, it represents their ardent history of independence and self-reliance. In late February of 2016 I visited the PATITO brewery just north of Merida, on the road to the port city of Puerto Progreso, as a guest of the owner, Jose Millet. After opening in early 2015 it has become a go-to Restaurant / full bar / and artisan beer establishment that stands connected to the sparkling new brewery producing 250 barrels monthly with expectations of doubling that number by year’s end. I happened to be there during the monthly of the alliance meeting of several “ceveceros artesanales” (microbrewers of artisan beer) from the Yucatan states of Quintana Roo, Campeche and Yucatán. Outside the restaurant/brewery stands a massive sign welcoming everyone “Bienvenido a Territorio Independiente” (Welcome to the Independent Territory) . “Experience the Brewery “Sister Republic: The New Independence”. The verbiage on this sign refers to the period of the once Independent state of Yucatán from 1844-1847 and their alliance with the free state of Texas. A history worth your investigation. ¡Viva “Patito” and all the “cervezas artesanales” of the great states of the Yucatan Peninsula. I love their Pilsner. Tried to get Whole Foods in lower Manhattan to get Patito for me! The bottle deposit exchange has become much easier over the years. There was a time, not too long ago, that the ‘envase’ one carried to the store could only be exchanged for that exact same type and brand of beer. For example, you could not trade in a Corona bottle and buy an Estrella, even though both are produced by the same brewry. Now, as the article states, if one is a regular customer ( as I am ) at the neighborhood Deposito or abarrote the owners, over time, begin to trust that you are not in the business of black market bottle returns and wave the deposit. 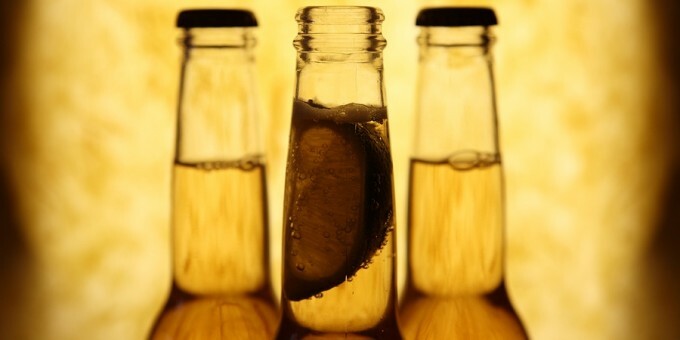 Mexicans have been brewing beer for centuries and today Mexico is one of the world's top exporters of beer.